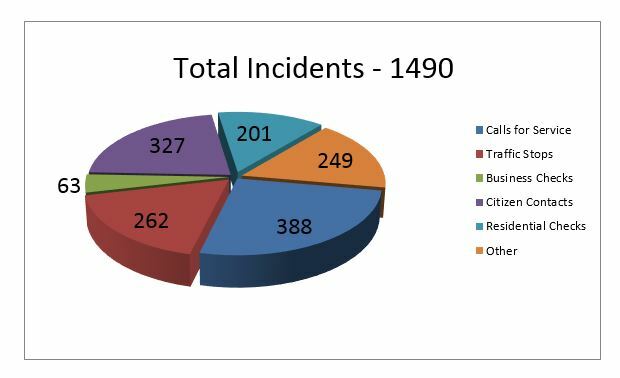 During the month of November, there were five (5) reports of vehicles burglarized. During the month of November, there were no vehicles reported stolen from Colma. During the month of November, patrol officers made a total of twenty-four (24) arrests for drug and alcohol related charges, which included two (2) arrests for driving under the influence of drugs and/or alcohol. On 11/7/17 at approximately 1522 hours, Colma Police Officers responded to the 200 block of Collins Avenue to the report of an identity theft. The reporting party advised that the elderly dependent victim’s wallet was missing, and his credit card had been fraudulently used. Follow up investigation identified the suspect, a care provider for the victim, who was later contacted and admitted to the fraudulent use of the credit card. She was arrested and booked into the San Mateo County Jail. On 11/13/17 at approximately 1326 hours, Colma Police Officers responded to the 5000 block of Junipero Serra Boulevard to the report of a vehicle burglary in progress. Responding officers located the fleeing suspect vehicle and initiated a vehicle stop. The occupants were detained, and subsequent investigation determined that the vehicle was associated with multiple vehicle burglaries from neighboring cities. A search of the vehicle located stolen property from prior vehicle burglaries, including stolen and forged prescription pads. The suspects were arrested and booked into the San Mateo County Jail. On 11/15/17 at approximately 2250 hours, Colma Police Officers responded the 400 block of E Street to the report of a female screaming for help. When officers arrived, they located the victim who was in need of medical assistance. Investigation at the scene determined that the elderly victim had been pushed by a relative and had fallen, being injured in the process. Colma Fire responded and the victim was transported to a local hospital for further medical observation. The suspect was arrested and booked into the San Mateo County Jail. Officer Guerrero participated in one San Mateo County Saturation Traffic Enforcement Program (STEP) detail.